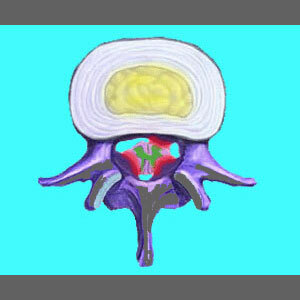 Is there really any such thing as a spinal stenosis cure? This is a crucial question to answer if you are one of millions of suffering people who are diagnosed with central spinal canal narrowing each year. Navigating the treatment sector can be extremely confusing and frustrating, since many therapies are completely illogical and ineffective. These non-curative choices can only hope to help relieve the symptoms, at best, since they stand no actual hope of resolving the underlying canal impingement. Meanwhile, other treatment options might promise a cure, but many fail to deliver once utilized. This investigative guide helps patients to narrow down their treatment options to include only the ones that might provide a true and lasting cure, given successful application. Nonsurgical methods of stenosis care range greatly, including medical modalities, like physical therapy, complementary applications, like chiropractic, and alternative treatments, like dietary change. Although it is great to avoid surgery, given the substantial risks involved, few noninvasive therapies have any chance of truly resolving stenosis concerns. This is simply because these structural changes exist inside the spinal canal and can only rarely be cured through nonsurgical methods of care. No type of manual manipulation, massage, exercise or diet can resolve the most common sources of stenotic change, which include aging and the inherent osteoarthritic growth associated with spinal degeneration. In very uncommon circumstances, some nonsurgical modalities can help to temporarily or permanently cure intervertebral disc bulging that might be directly causing, or contributing to, spinal canal constriction. For promising results in treating disc-related stenosis nonsurgically, spinal decompression is statistically the best bet. This is a costly therapy and takes a substantial time commitment. However, as decompression does allow successful treatment of herniated discs, and some other specific back and neck pain conditions, without the use of an operation, it is certainly worth investigating. Spinal stenosis surgery boasts some of the best cure rates in the entire back and spine surgical arena. The results are much better than for almost all other types of back and neck pain diagnoses. However, the types of procedures used are mildly to extremely invasive, depending on the location, severity of stenosis and other case-specific criteria. No operation can be undertaken lightly and all have substantial risks that must be considered and planned for, well in advance. Laminectomy is the most common form of surgical treatment, although discectomy, facet rhizotomy, spinal fusion and other techniques might also be utilized in particular circumstances. In almost every scenario, the spinal canal will have to be increased in patency, using surgical techniques that are performed in terribly close proximity to the spinal nerves and spinal cord. This makes stenosis surgery a challenge for even the most experienced physician. A cure implies that the condition is resolved and will not come back. When using this pure definition, I can tell you definitively that there is no such thing as a cure for spinal stenosis. This simple fact is proven by the continuing progression of spinal deterioration, despite even the most enlightened curative methods of care. In essence, even once a particular region of stenosis is cleared, others might develop at any time in the future. In fact, many surgical methods of care actually encourage new stenotic formation, due to scar tissue and other factors associated with invasive treatment. That being said, many patients with horrific examples of central stenosis can recover completely, or almost completely, and regain many physical abilities that they have lost, once surgery is performed. Before undertaking any type of curative care, be it surgical or noninvasive, be sure to consult with your neurologist to ascertain if permanent nerve damage might have already occurred. There is nothing worse than undergoing surgery for stable stenosis, just to discover that damage has already been done and functionality will probably never return, despite a risky and painful treatment process. Remember also that many stenosis cases are misdiagnosed as the actual source of pain. Therefore, no cure is required for the coincidental stenosis, but instead is needed for the root causation of symptomatic activity. I detail this process of identifying the true nature of many incorrectly diagnosed back and neck pain syndromes in my heralded book, Cure Back Pain Forever.